Are you looking for loving, educational care for your child? Do you want to give your child a happy childhood AND a successful future? TeacherCare helps private families and businesses find highly qualified teachers, child specialists, and educational nannies. Based on your needs assessment, we can help you connect with educated candidates who can help your child reach their full potential. Private teachers and educational nannies for young children, from infancy to Kindergarten. After school private teachers and educational nannies for homework help and enriching activities for elementary-age children. 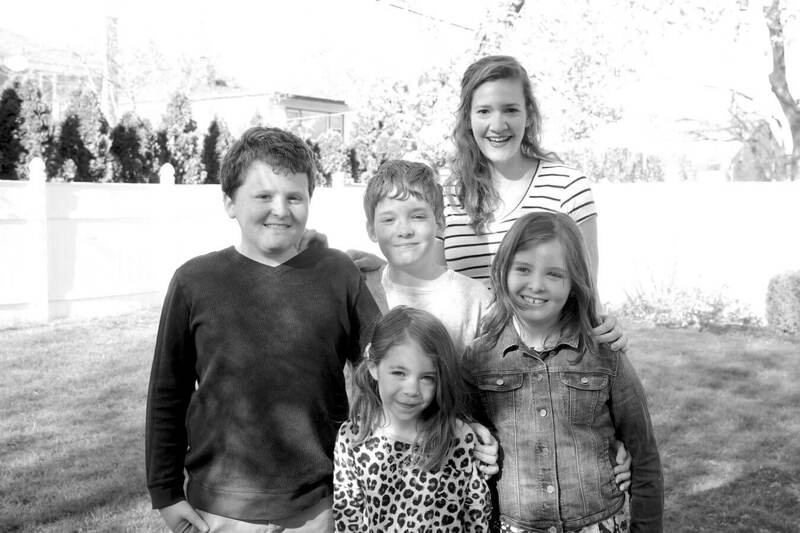 Private teachers for homeschooling and tutoring. Private teachers & child specialists for children with learning differences or developmental delays. If you have a unique situation, please reach out to inquire if we can help! We’ve been helping families find personal teachers and educational nannies for 20 years. During that time, we’ve developed unique systems and a rigorous process to identify exceptional private teachers and educational nannies. 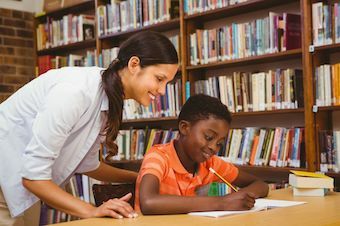 Teacher and nanny candidates possess a bachelor’s degree and have several years of experience working with children, generally in the classroom or a large group setting. After our intensive screening procedures, about 4% of applicants are chosen to represent TeacherCare. Learn more about our selection process for teachers and education nannies here. Each child has a different learning style and pace. Kaitlin is creative, patient, and very skilled at teaching the whole person, which is a real winning combination. The boys are busy doing everything from science experiments to craft projects to practicing writing letters and numbers right now. She is a true partner when it comes to looking out for the boys’ best interests and promoting their development. 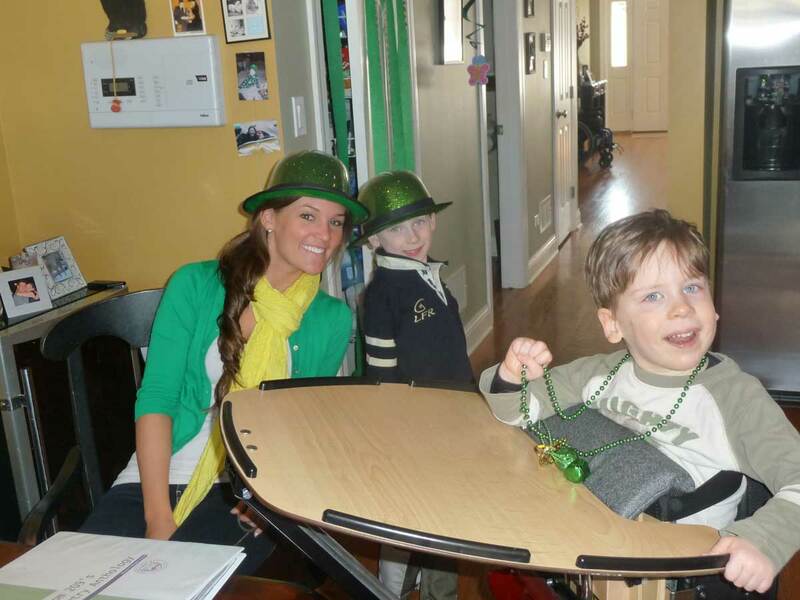 William has cerebral palsy and does not walk or talk. When I hired Brandi, I explained I was looking for someone who would push him and help him achieve his full potential…Brandi has gone above and beyond my expectations…She is a true partner in raising my children to be the best they can be. The love between Amiee and the boys’ is exactly what I prayed for; someone who would love them like my husband and I do.We knew Aimee was the one when our then autistic-like 3-year old walked over to Aimee and put his head on her lap. Thank you TeacherCare. We have sent many families to you and hope they were as lucky as we are! Heather goes above and beyond the call of duty. The most important thing she does besides keeping me organized, my kids organized and on top of new challenges in homework, is building a relationship with them. She is a joy to see in action with my kids who text her and send her pictures every time they accomplish something new. It just goes to show the genuinely close relationship she has developed. happens in the first five years of life. Give your child a caregiver who is trained to optimize spontaneous learning during everyday activities. 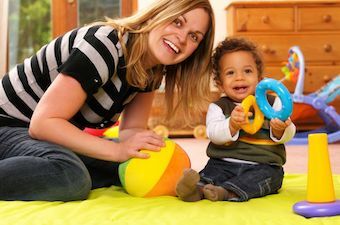 Imagine having a caregiver who is aware of the developmental tasks (intellectual, physical, social and emotional) a child must successfully complete before entering the next stage of development; who knows which types of nurturing and stimulation will enhance your child’s development; and who is aware of the best means to help your child realize his or her potential. Find a TeacherCaregiver for your Family. 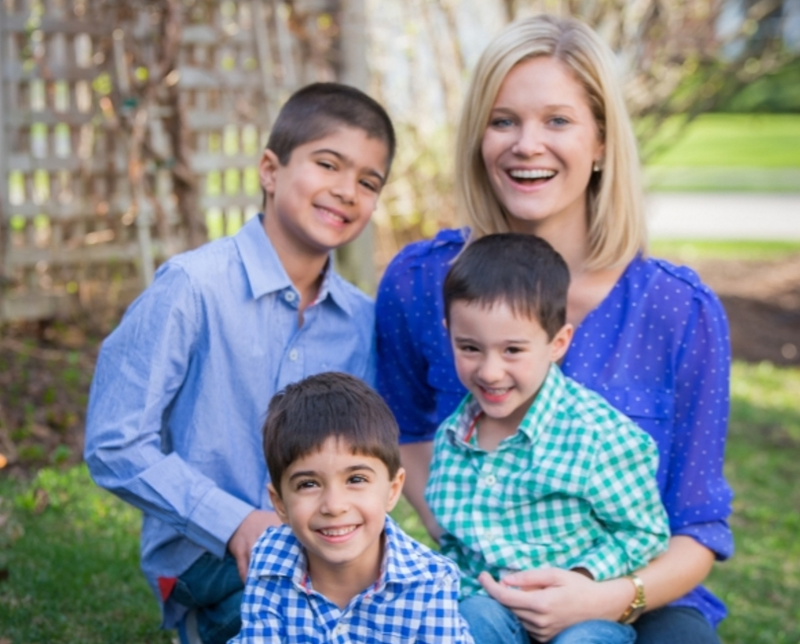 Let us help you find a personalized childcare specialist, teacher, or educational nanny. Give your child the childcare choice that sets the foundation for a lifetime of success and happiness. For 20 years, we’ve been helping families find extraordinary childcare. See why we’re the most trusted home childcare educators in the nation. As parents and educators, we will do everything we can to make sure your child receives exceptional care and enrichment. To consistently reach this goal, we’ve developed a Comprehensive Evaluation Process to find the best childcare teachers and educational nannies. Rigorously screen candidates, in order to only present the top teachers and nannies to your family. Develop tools and resources for successful long-term support of families, teachers, and nannies. Personalize a childcare and education program to the needs and goals of your family. TeacherCare directors combine advanced academic training and experience with a sincere dedication to your family. Your director will work closely with you to guide your search. She will use her knowledge and expertise to personally assess each applicant. This unique approach, along with our exclusive Six Evaluation Systems, allows us to share our expertise with your child and family. 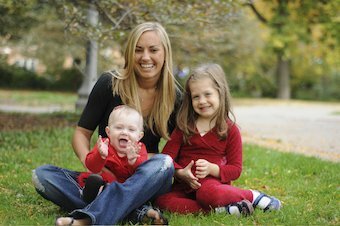 A personal childcare teacher and educational nanny who is trained to value and create positive, stimulating early childcare experiences. Educated, nurturing, experienced and dedicated to your family. Cares for your child’s complete day-to-day childcare needs in your home. Personalizes play activities to your child’s age, development and interest. Positive, stimulating daily experiences can have amazing effects on early brain development. Negative or un-stimulating daily experiences can have devastating effects on the brain’s development. Your child's future starts now! Realize his or her potential. Learn more readily throughout life. Develop a love of learning.